Before you buy this Offer, It would be great if you send us briefly about requirements, We will immediately inform you about how many hours will it take. We are new at PPH but not in Wordpress development. 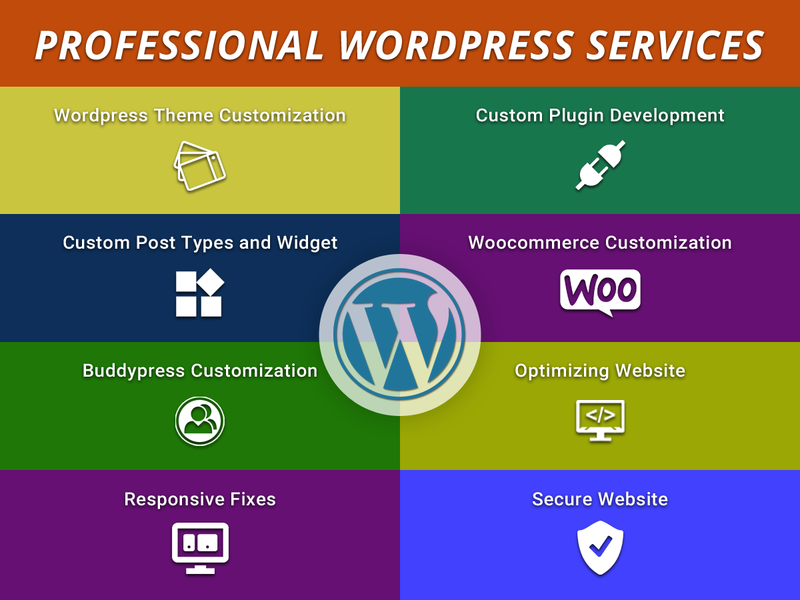 We have intensive experiences and profound expertise in Wordpress development. We are working on wordpress since 2008. We never change any core file of Wordpress or plugins/themes. We always use standard programming techniques to do customization/updates. In the case of WordPress, we use Template override, Hooks, Filters, Child theme, and popular plugins. After customization/updates you will still be able to update theme, plugins, Wordpress versions. customization/updates will work as it is. --> Integrate plugins like a slider on the homepage, social media integration, contact forms etc..
AND MANY MORE. DROP US MESSAGE OF ANY REQUIREMENT RELATED TO WORDPRESS. For past work proof or reference, Please contact us. We need task details, login details of site. and may need ftp/sftp details. Fantastic work by Akram as always. Highly recommended. Perfect work as always from Akram. Very pleased. Excellent work as always from Akram. Super efficient and high quality work. Highly recommended! Thank you very much as ever, so happy I have found a developer that I can actually work with!!!! Excellent customisation and customer service, love doing business with these developers.